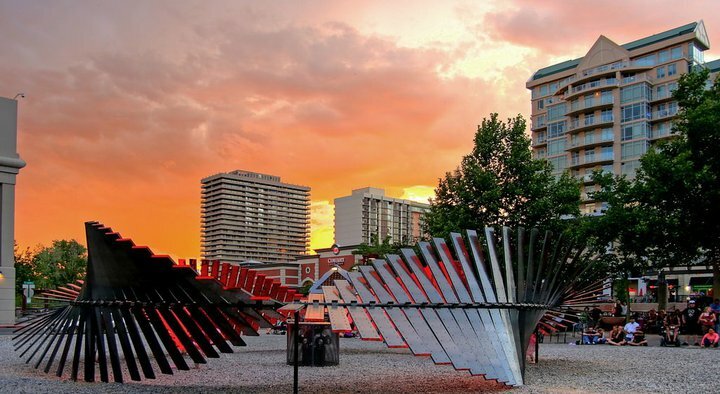 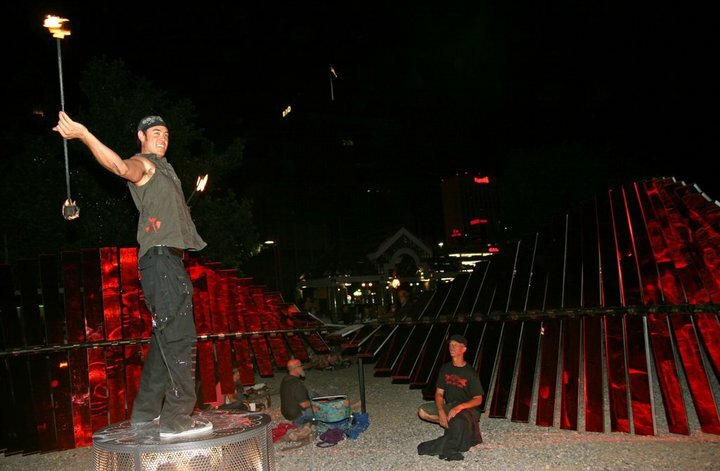 Starting this week Controlled Burn spun fire to the World Beats provided by DJ Source in downtown Reno where Duel Nature (Burning Man 2006 honorarium) by Kate Raudenbush is currently on exhibit. 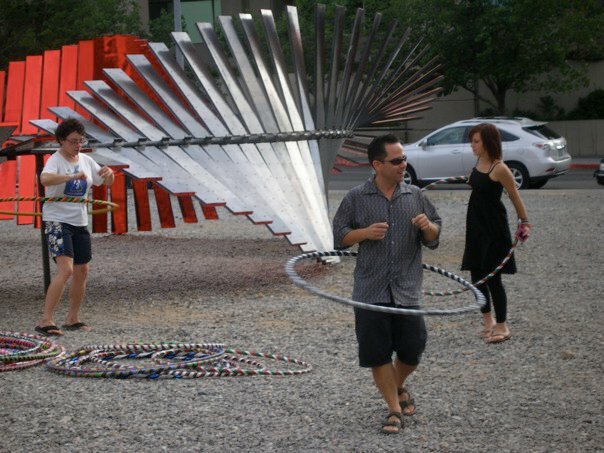 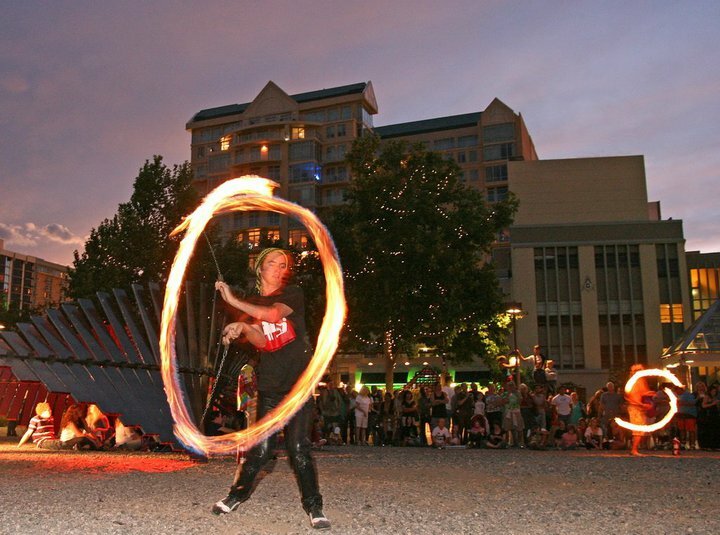 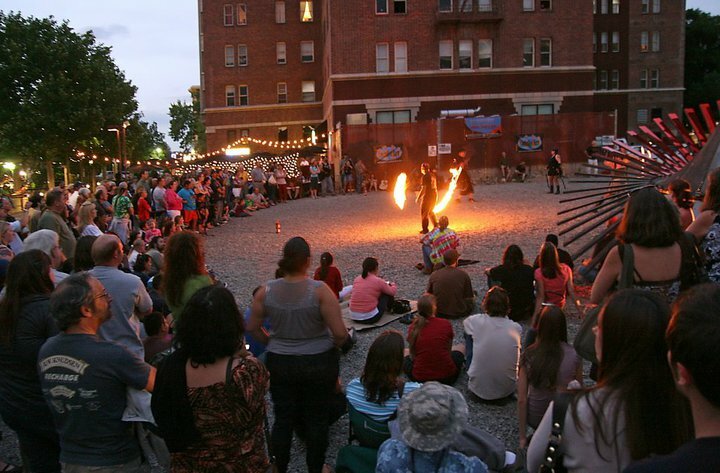 A crowd of about 300 people enjoyed a variety of fire spinners from 8:30 – 10 pm. 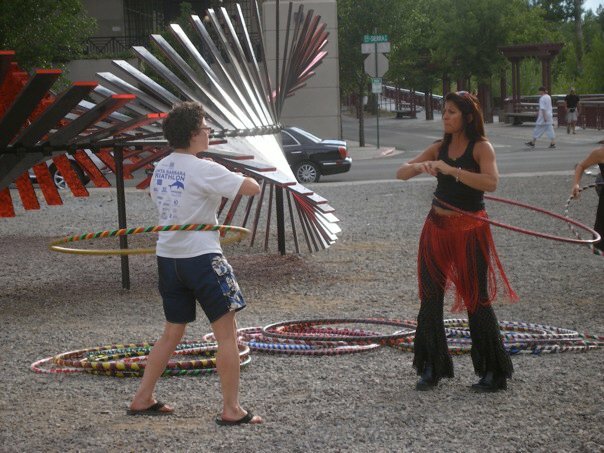 As part of ARTown’s month long festivities they will perform every Tuesday in July. 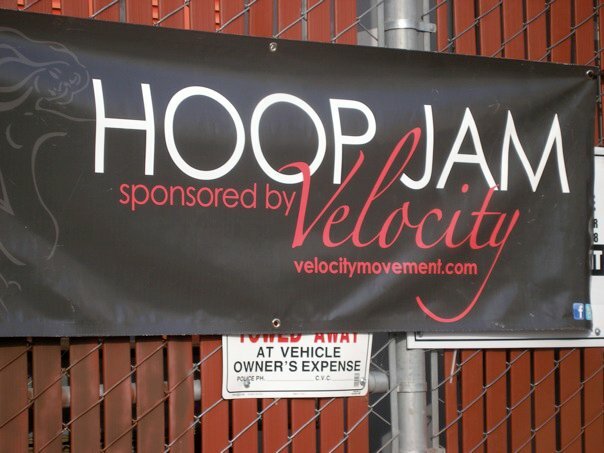 Bohohoops and Velocity Movement will have a Hoop Jam on Wednesdays throughout the month.